OTTAWA -- The Trudeau government only found out by accident that former prime minister Stephen Harper was planning to visit the White House next week in the midst of a looming trade war between Canada and the United States. According to one senior official, Harper himself didn't mention the visit, bucking convention by not informing the Canadian government. Instead, the Canadian embassy in Washington got a call from John Bolton, President Donald Trump's national security adviser, asking who would be accompanying the prime minister to the meeting on Monday. Baffled, the embassy contacted the Prime Minister's Office, to see if Justin Trudeau had somehow forgotten to mention he was heading to Washington. Trudeau's foreign policy adviser, John Hannaford, then contacted his counterpart in the White House, who eventually apologized for the mixup and explained it was former prime minister Harper who would be visiting. Harper's office did not respond to a request for comment and it wasn't clear Thursday whether the meeting is still scheduled to take place Monday -- one day after Canada's retaliatory tariffs on imports of a wide range of U.S. goods, and as well as steel and aluminum, are set to come into effect. Nor was it clear whether Harper might have been planning to meet with anyone else at the White House or what he intended to talk about. As president of the International Democrat Union, an alliance of right-of-centre political parties around the globe, there may have been any number of issues Harper would want to address, including Israel and Iran. The visit to the U.S. capital comes amid heightened tensions between Canada and the U.S. over the prospect of a trade war. Talks to renegotiate the North American Free Trade Agreement have stalled since Trump last month imposed a 25 per cent tariff on steel imports from Canada and a 10 per cent tariff on aluminum imports. Trump has since threatened to impose more tariffs on Canadian-made automobiles and dairy. And he and other administration officials have also engaged in personal attacks against Trudeau in speeches and on political talk shows and social media. In Montreal on Thursday, Transport Minister Marc Garneau noted that opposition parties have united behind the government in its response to U.S. tariffs and threats of a trade war. "We speak with one voice, and we certainly hope that will continue to be the case, and we fully expect it to be the case," he said. Harper was a team player earlier this month when he appeared on Fox News to defend Canada's trade relationship with the U.S. He suggested that Canada "is the wrong target" for Trump's wrath over unfair trade practices. However, in a memo to clients last fall entitled "Napping on NAFTA," Harper accused the Trudeau government of bungling negotiations on the continental trade pact. Asked Thursday if Harper should have advised the government that he planned to visit the White House, Garneau said: "Mr Harper is a private citizen and I'm sure he's sensitive to those things because he's a former prime minister himself." 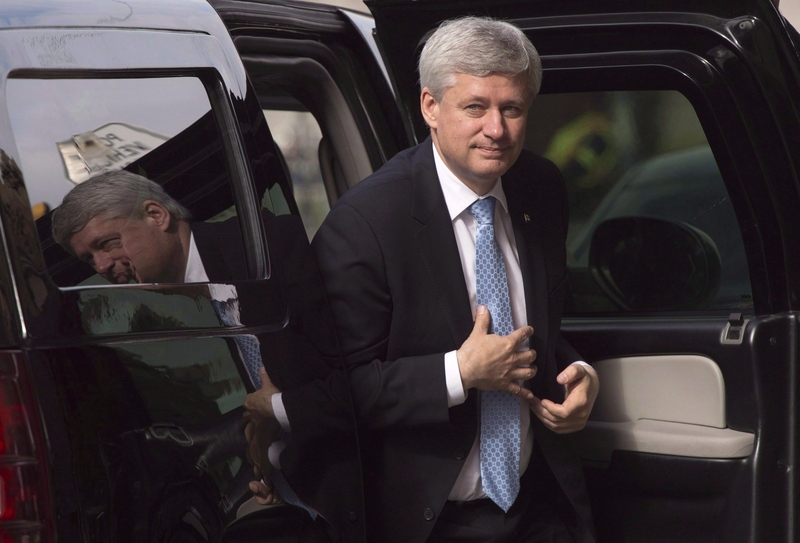 What do you think about Stephen Harper’s reported upcoming trip to D.C.?